Thousands of CRISM high-resolution images available in easy-to-view format through a searchable map. Follow the CRISM Team’s journey through the selection of the Mars Science Laboratory Curiosity Rover’s landing site. Potential sites include Holden Crater, Eberswalde Crater, Gale Crater, and Mawrth Vallis. 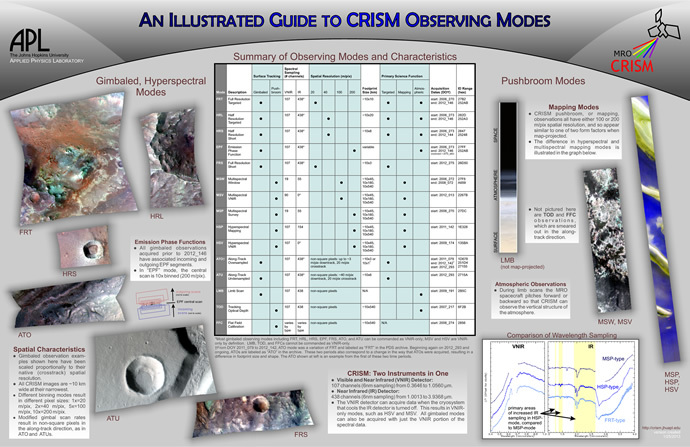 Access CRISM data sets to explore and analyze for yourself!